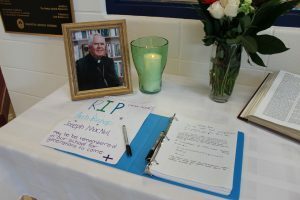 Emotions are still raw as staff and students remember Archbishop Joseph MacNeil, who was like a grandfather to those at the Edmonton junior high school that bears his name. 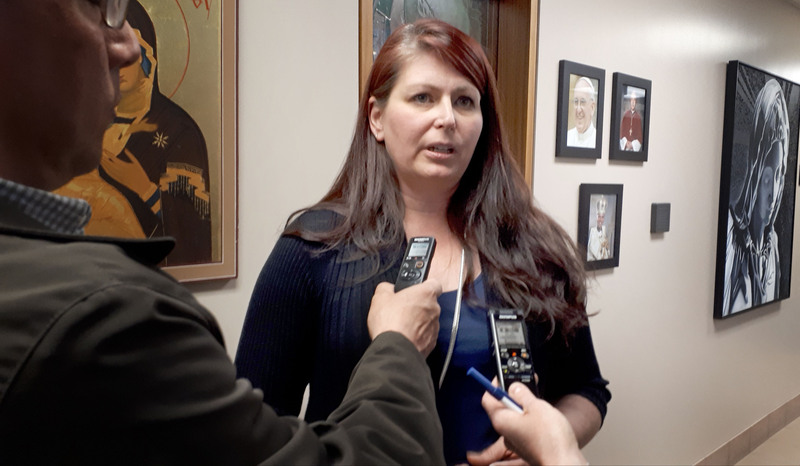 “To come together as an AJM family and hear the news together was pretty tough,” said Tamara MacKenzie, a teacher who has been at Archbishop Joseph MacNeil School since it opened in 2003. The school community has rallied together to remember the beloved archbishop, who died on Feb. 11, after suffering a stroke. He was 93, and led the Archdiocese of Edmonton for 26 years before retiring in 1999. 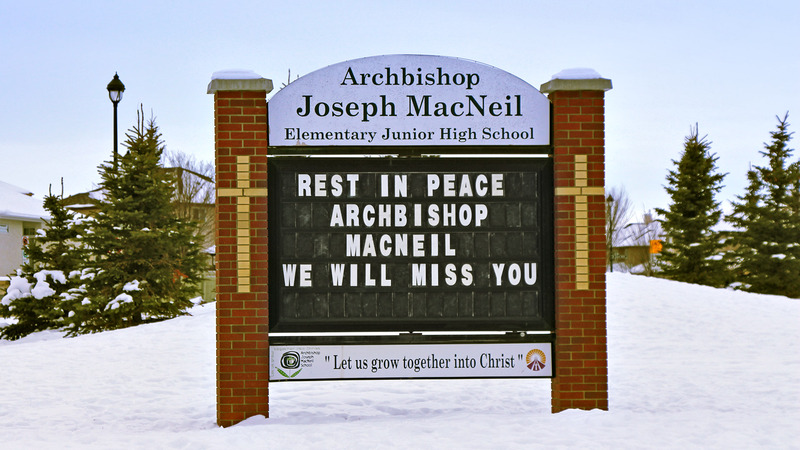 A Mass honouring Archbishop MacNeil is scheduled for Feb. 15. 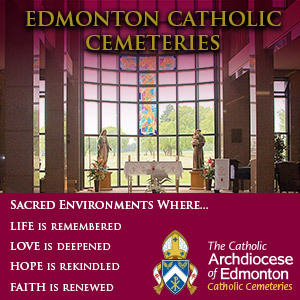 Due to immense interest and limited space at the Basilica, the funeral Mass will be livestreamed on the Edmonton Catholic Schools website at www.ecsd.net. Students and staff from Archbishop MacNeil school plan to attend the funeral and sing in the choir at Mass. Plans were already underway to celebrate Archbishop MacNeil’s 94th birthday on April 15 when the principal, George Antonakis, announced that the Archbishop had died. The school will also have its own memorial service next week. School staff set up a small prayer table under his portrait, with a vase of white, purple and red flowers, a Bible, and a lit candle. 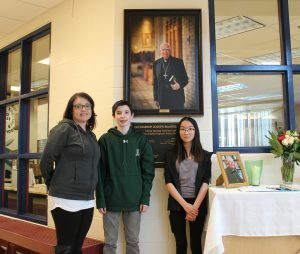 Students were encouraged to write their memories of the Archbishop who, teachers say, always took the time to talk personally with every single student when he came to visit and never forgot a face. Within hours, an entire binder page was full. Tamara MacKenzie said it’s rare for teachers to be able to tell the students about their school’s namesake, and then have that person visit so students can meet him and ask questions directly. Archbishop MacNeil visited often, walking into each classroom, telling jokes with the students and sharing stories about his own childhood in Nova Scotia. 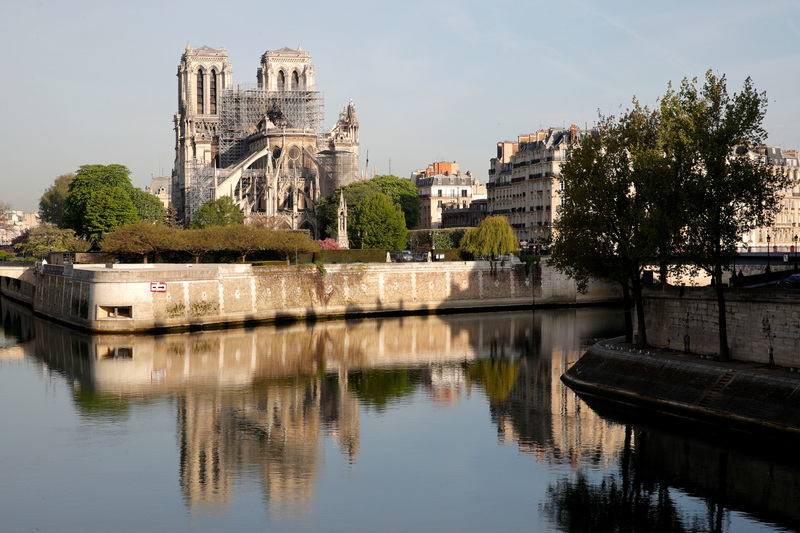 “When he told us his experiences from his youth, I found myself relating to some points of what he thought,” said Grade 8 student Claudia Chee, who learned of the Archbishop’s death on Instagram. MacKenzie remembers taking students on a trip to Eastern Canada in October 2015, where they met Archbishop MacNeil’s family and visited Antigonish, Nova Scotia, where he was ordained. 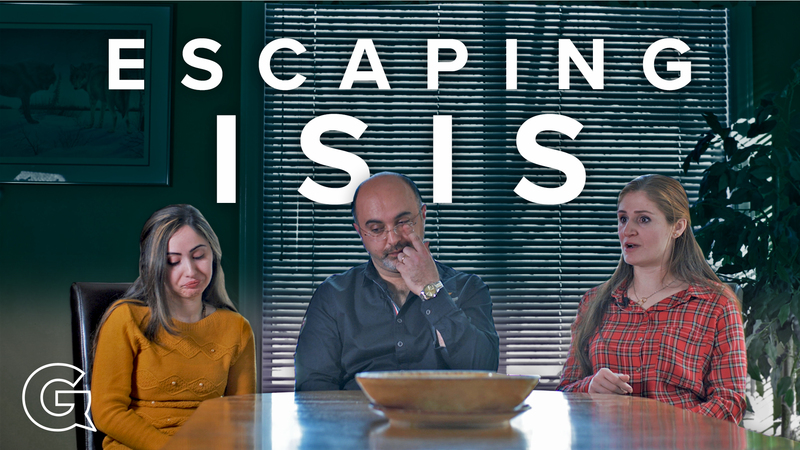 When the students returned to Edmonton, they brought gifts for Archbishop MacNeil from his alma mater, St. Francis Xavier University, as well as stories about their personal experiences in his home province. 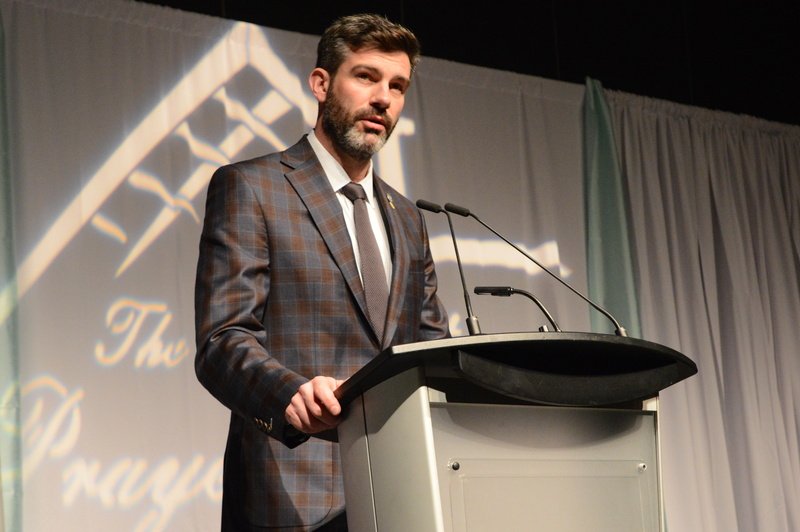 “He was moved to tears, he was so touched that we took the time to relate to him and his past,” said MacKenzie.